Traveling from one country/place to another increases the awareness of the differences in beliefs, traditions and values that shape cultures, politics and societies. This awareness comes frequently as a result of one of two things: inclusion, exclusion, or the confrontation between both. Exclusion could be due to differences in geographical location, race, culture, class, economic status or even differences in gestures and interests. On the other hand, inclusion often refers to a practice of acceptance, productivity and a sense of belonging. Many times it is possible to experience a place or an event from a paradoxical point of view, meaning from both an inclusive and exclusive perspective. When an event or place is witnessed from such perspective, it does not reveal answers or solutions, but becomes a source that opens up to multiple interpretations while facilitating the continuity of their actualization. Through her works, Minna Philips explores this particular position that allows witnessing an object/event or place through a paradoxical point of view. 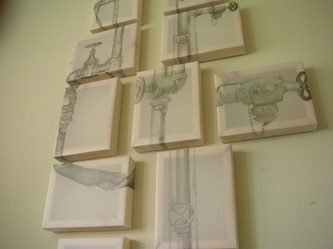 Her drawings relate to a kind of imagery that frequently suggest paradoxical significations, for example, fire hydrants, sprinkler systems or manhole covers, that represent danger and safety at the same time. Such imagery is deconstructed in a way to distort perspectives and the drawings are arranged in a manner that is at the same time continuous and fragmented. The multiplicity of interpretations and a deconstructed reality is further exaggerated through a process where a particular installation in a particular place is made to adapt to a different location. 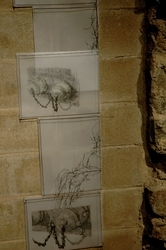 This process demands a kind of constancy in the organization/de-organization of such references, and at the same time, due to its adaptation to the new environment, the installation results in a new arrangement where new imagery is added from the recent location, resulting on a continuous process that creates its own open ended history. For example, a project developed earlier on by the artist in Boston, Massachusetts was later deconstructed, re-integrated and further developed in Baltimore, Maryland and is now being adapted and responding to Drawing Spaces in Lisbon, Portugal, leaving a trace of its open history and of its possibility for continuous expansion. 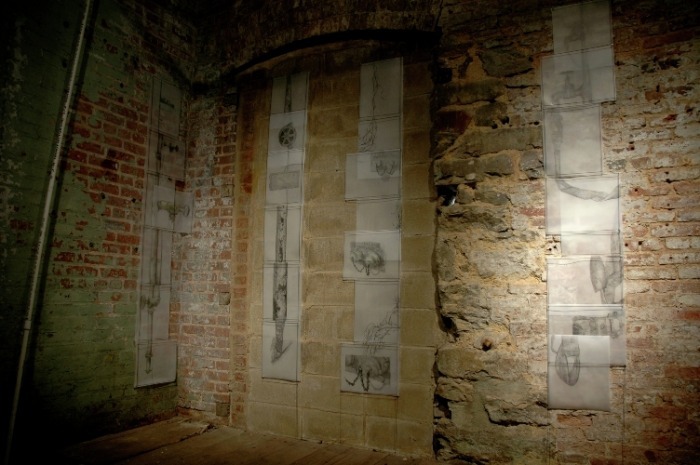 The drawings act as paper landscapes that occupy the wall, floor and/or ceiling of a space. 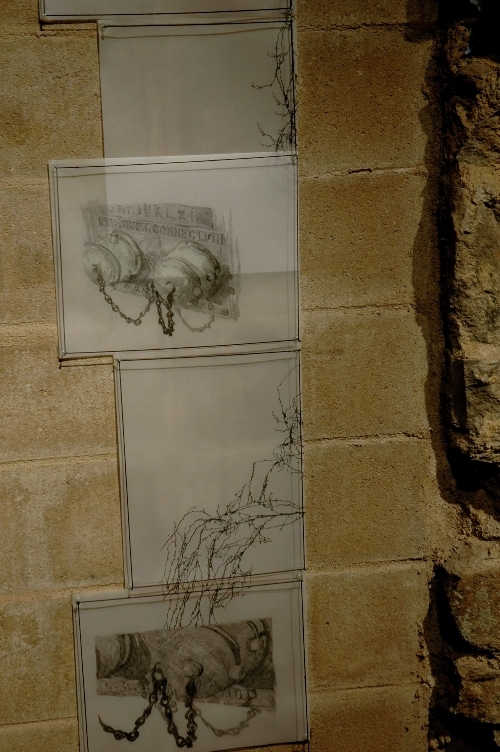 The work is created in the space of the residency/exhibition using the immediate surroundings of this space and some of its singular elements which facilitate the study and integration of the identity of the place. The resulting installation prevents any perception of the spatial structure of the references in isolation, integrating them into a new context provided by the drawings which blurs the lines between the work and the space. The process of drawing becomes paradoxical by identifying the limits of a concept and establishing identities, and at the same time by assisting in the transcendence of these limits to create infinite possibilities. The way drawing acts as an intermediary between other art forms as well the use of drawing not just as preliminary preparation but as something that has inexhaustible number of interpretations, qualifies it here as a tool to explore concepts that exist despite the fixation or lack of definite boundaries.